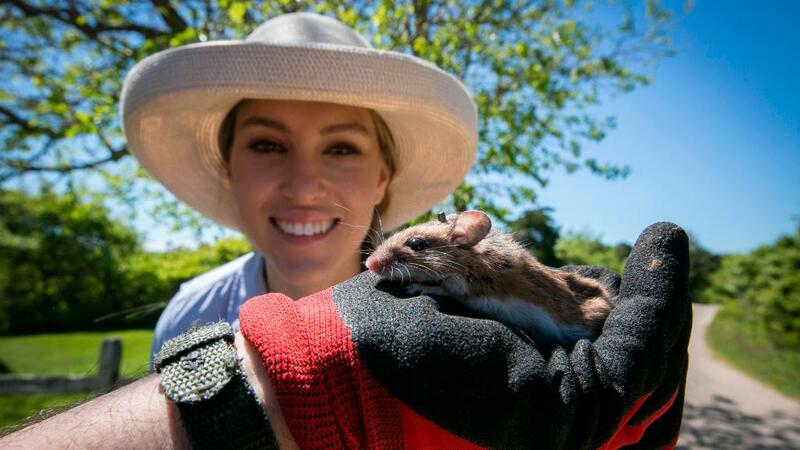 Scientists are proposing the radical evolutionary step of genetically engineering the white-footed mice of Martha's Vineyard and Nantucket to rid the islands of Lyme disease. The nasty bacterial infection can cause fevers, fatigue, and rashes -- reason enough to want it eradicated. But left undetected, Lyme disease can spread to the joints, heart and nervous system. As many as 300,000 people contract the illness each year, according to the Centers for Disease Control and Prevention. 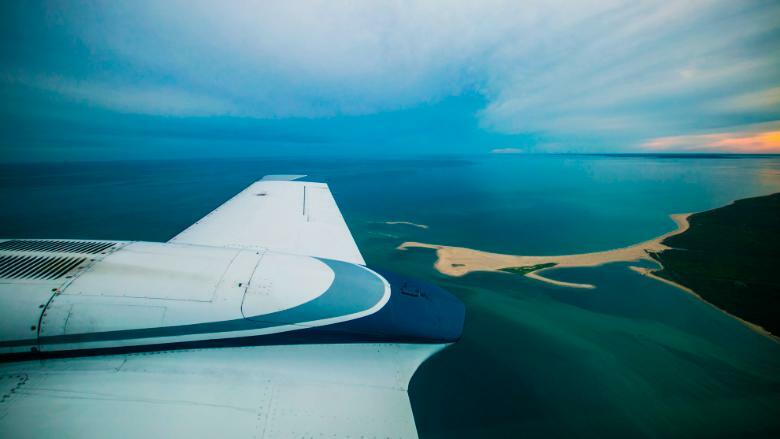 Folks living on the idyllic summer getaways off the coast of Massachusetts are especially eager to be rid of the scourge, because as many as 40% of the people living on Nantucket have been infected with Lyme disease at some point, according to the local health department. "On the West Coast, when it comes to natural disasters, they have earthquakes. The heartland has tornadoes. The South has hurricanes. Here in the Northeast, our natural disaster is Lyme disease," said Kevin Esvelt, who specializes in a field called evolutionary and ecological engineering at MIT Media Lab. Everyone associates deer with Lyme disease, but the chain of transmission starts when an adolescent tick bites a white-footed mouse carrying the Lyme bacteria. Eliminate Lyme from mice and you've gone a long way toward solving the problem. Enter Mice Against Ticks, Esvelt's campaign to do just that by tinkering with the animals' genetic code. "We want to heritably immunize the local white-footed mice," Esvelt said. "The idea is fewer infected ticks means fewer infected kids." Some mice develop an immunity to Lyme naturally, much like your body gains immunity when you catch a cold. But that immunity isn't passed along to offspring without some help from science. That's where Duane Wesemann, an immunologist at Harvard's Brigham and Women's Hospital, comes in. Once he's isolated the genetic code for Lyme immunity, Wesemann can edit it into the genome of many more mice. Those mice will pass the immunity on to their offspring. Raise a few hundred thousand of these mice, release them into the wild, wait a few generations, and, in theory, no more mice with Lyme. "These mice would be expected to be resistant to Lyme for decades, and that will lead to less ticks infected, which will lead to less humans infected," he said. At this point, all of this is theoretical. Although Wesemann is working on isolating Lyme antibodies in wild mice, releasing lab-modified mice remains years away. Oh, and no one's ever turned a genetically-modified mammal loose in the wild before. Doing that will require more than time. It will require a vote. A majority of residents of the two islands must approve the plan. Jason Bridges, a parent who owns Handlebar Cafe on Nantucket, is open to the idea. Ticks and the diseases they carry are an acceptable risk for now, he says, but "if it were to get worse, I'd say we're kinda done for." The Nantucket community is considering a proposal that aims to eliminate Lyme disease on the island. Not everyone thinks meddling with nature is the best idea. "My worst fear is that we're gonna make a modification that effects a whole chain of reaction in this environment," said Danika Conners, an herbalist and vocal critic of Mice Against Ticks. "No matter how much they test this, we do not know how this is gonna affect the environment five years from now, 10 years from now, 15 years now, 20 years from now." Esvelt is sympathetic to such concerns, but he takes exception to any argument that he's playing God. "I can't see how a benevolent god would want us to let our children suffer and perish from diseases that we could prevent," he said. Still, he's eager to have that conversation, and consider everyone's perspective. "I firmly believe that this kind of community decision-making is the only ethical way forward," he said. Esvelt and Wesemann plan to test their idea by releasing about 1,000 genetically modified mice on an uninhabited private island and, well, seeing what happens. Wesemann likened it to NASA preparing for a mission. "They're going to send something in space, and then they're not going to be able to retrieve that again," he said. "All the preparation and all the modeling has to occur beforehand." Still, there's no way of anticipating every possible outcome. But Esvelt believes the benefits outweigh any risk. "There's always a cost to doing nothing, and we need technology not just to keep the world running, but also to make it better," he said. Even if the residents of the two islands approve the project, it still has to clear federal scrutiny from the Environmental Protection Agency and perhaps the Food and Drug Administration. All of which is to say it could be at least eight years before the first genetically modified mouse scurries through the seagrass.